Woman Dies After an Intravenous Drip of Turmeric, Alternative Medicine, What’s the Harm? "What's the harm?" If alternative medicine has no effect, why not give it a go? 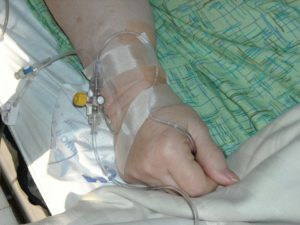 An intravenous drip inserted into a patient. Make sure only qualified medical professionals give you an IV. Alternative medicine can kill you. That's what the harm is. It is being reported that a woman in her thirties has died as a direct result of receiving an intravenous infusion of turmeric solution. This solution was injected directly into her veins by someone with no medical training, someone who should not be able to practice medicine. That someone is a naturopath. As with almost all forms of alternative medicine, many claims are made about the uses of turmeric. In the case of turmeric, these often revolve around the reduction of inflammation of joints all the way through to a treatment for chronic conditions such as Crohn's disease, but it doesn't end there. Some will also claim that it helps with leprosy! Turmeric is not only used as a treatment for a multitude of diseases but also as a supplement to help prevent different conditions. Of course, it is not cheap either. claimed to be a powerful anti-oxidant and anti-inflammatory. Numerous studies and clinical trials into the efficacy of curcumin and turmeric have been performed. It should probably come as no great surprise that these studies have either not supported the claims made or that the trials conducted have been of such a poor standard that any claims made cannot be justified. Not that this stops naturopaths from citing such studies in an attempt to convince their patients. So if turmeric does nothing, why do some patients still keep taking it? Turmeric, often used in alternative medicine. But does it work? And is it safe? Well, there are a few possible answers to this. The first is that there are a large number of people who are just not aware that alternative or complementary medicine has almost no basis in reality. It's not scientifically proven to work, and as far as we can tell, there's no possible mechanism for it to work, but a large proportion of the population like something that is considered to be "natural" and often have a distrust for anything unnatural. That's not to say that natural medicines don't work. In many cases they do, and modern pharmaceuticals can be derived from natural substances. An obvious example of this would be aspirin, which derives from the leaves of willow trees and has been taken as a painkiller for over two thousand years. Scientists are also convinced that there are many other natural compounds which could have medical value, which is why we are searching the oceans and forests for such compounds in the hope of finding a new wonder medicine. There is an old adage. "Do you know what they call alternative medicine that works? Medicine!" 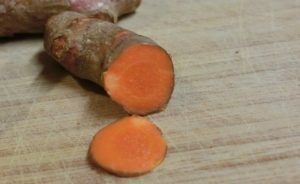 If turmeric really worked, rest assured that doctors the world over would be prescribing it, not just a small bunch who eschew modern medicine. 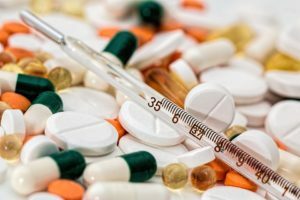 The cure for people believing in alternative medicine: a Good Science Education that teaches the fundamentals of how the process of science works, so that the population are science literate and have a good grasp of what scientists really do. Too much science education delivers a collection of facts or skills but fails to put them into a real life context. The other reason that people may have for pursuing alternative medicine over modern is based on fear. The news is full of stories of medicine gone wrong. Or, if you happen to live in North America, every commercial break you watch seems to be encouraging you to sue a doctor for medical malpractice. Couple this with the fear of "Big pharma" wanting to make a load of money off of you by keeping you medicated up to your eyeballs. There is a shred or truth here - the pharmaceutical industry wants to keep you as a customer. The best way they can do that is to keep you alive! Yes, accidents happen in medicine. Yes, people die - sometimes unnecessarily, but at the end of the day, modern medicine can treat a myriad of diseases. The trade off is that occasionally people die. Alternative medicine, on the other hand, can treat nothing at all, yet people still die, always unnecessarily. A much better use of turmeric. So the next time someone suggests an alternative therapy for you, and they ask you "what is the harm?" you can now tell them exactly what the harm is. At best, you're getting no treatment at all. At worst, you're putting your life in danger. Now in the interest of fairness, I must admit that I am a firm believer in the value of turmeric. 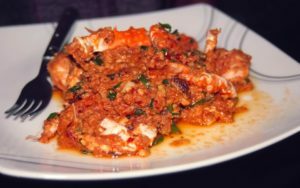 Have you ever tried to make a curry without it? They just don't taste right! Turmeric is undoubtedly safe when used in foods. Other than adding a bit of colour and flavour to your food, don't expect it to have any miracle cures. And what ever you do, don't take it as an intravenous drip. Make Science Easy's goal is to make the world science literate. If you find science difficult and struggle to understand science as it is presented in the media, or if you struggle to separate science fact from fiction, then we can help you out. We have FREE science courses designed just for you to help you understand the fundamentals of science. So sign up today.